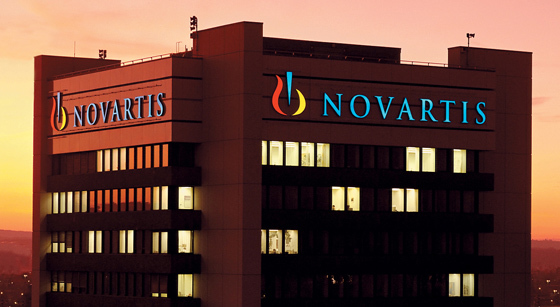 Novartis and Amgen’s decision to price their new migraine drug Aimovig lower than expected seems to have paid off, with US pricing watchdog ICER concluding that it matches the clinical benefit of the drug for migraine prevention. The new analysis stresses however that Aimovig - which reduced the number of migraine days per month by one to three in trials - would not be cost-effective if used ahead of existing preventive treatments. That includes drugs such as Allergan’s Botox, which costs around $3,500 per year, as well as certain anti-epilepsy drugs such as topiramate. Aimovig (erenumab) was the first in a new class of calcitonin gene-related peptide (CGRP) inhibitors for prevention of migraine attacks to be given a green light by the FDA last month, ahead of rival drugs from Eli Lilly, Teva and Alder Biopharma. Novartis and Amgen moved swiftly ahead with a launch, pricing the monthly injectable drug at $6,900 per year, well below earlier predictions of an $8,000-$10,000 price range. ICER (the Institute for Clinical and Economic Review) estimates that the net price of Aimovig will be around $5,000 per year after discounts and rebates which it says is just about right for a drug that will be used in patients who have failed to get migraine relief using other preventive treatments. It is however recommending the drug should only be used in patients who have exhausted other prevention options, despite prior analyst suggestions that the premium over older drugs shouldn’t be too much of a barrier to use, particularly as some patients have seen their headaches disappear completely with Aimovig. An earlier analysis by the organisation, which used a model price of $8,500 per year, concluded that CGRP inhibitors would be too expensive at that level. It now assumes that Teva’s fremanezumab and Eli Lilly’s galcanezumab, which remain under FDA review but should have decisions before year-end, will also be priced around the same level as Aimovig so is extending its conclusions to all three injectable drugs. A fourth CGRP inhibitor from Alder, called eptinezumab, is delivered as an infusion every three months and is not included in the ICER’s report. “CGRP inhibitors appear to offer modest improvements in outcomes for patients with chronic migraine and frequent episodic migraine,” said ICER’s chief medical officer David Rind, adding that Aimovig’s price after expected discounts “seems to align with those added benefits for patients”. "However, as with any new class of medication only tested in trials of several months' duration, concerns remain about unanticipated harms,” he continued. As migraine is common, “there may be concerns about affordability and access [and] CGRP inhibitors could potentially have a significant impact on short-term health budgets”. ICER is holding a public meeting on 14 June that will address how to manage short-term affordability if CGRP drugs agents are widely prescribed.